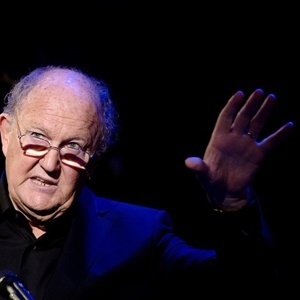 How much is Joop van den Ende Worth? Joop van den Ende net worth: Joop van den Endeis a Dutch media tycoon who has a net worth of $1.6 billion. Joop van den Ende is the co-founder of Endemol, but before partnering with billionaire fellow John de Mol to create the reality TV production company, he worked as a party-supply salesman. Once they scored big with the worldwide hit Big Brother, the duo sold Endemol to Spanish telecom giant Telefonica in 2000 for $5.3 billion. Ever since, Joop has concentrated on theater. He is both the founder and owner of theater production company Stage Entertainment that was spun off from Endemol, which now puts on between 40 and 50 plays, ice shows, dance events and concerts every year. Its US division has received 46 Tony Awards thanks to blockbuster musicals such as "The Lion King" and "Mamma Mia." Van den Ende abandoned his position as chairman in 2008, but ever since has remained president of the supervisory board. Among other things, he received an honorary doctorate as a cultural entrepreneur from Nyenrode Business University in the Netherlands. As of March 2013, he is named as the 5th richest person in Netherlands.